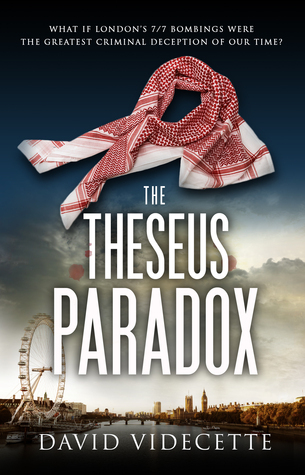 When I read this book and The Theseus Paradox I felt a real genuine connection with the stories although they are written as part fact and part fiction. 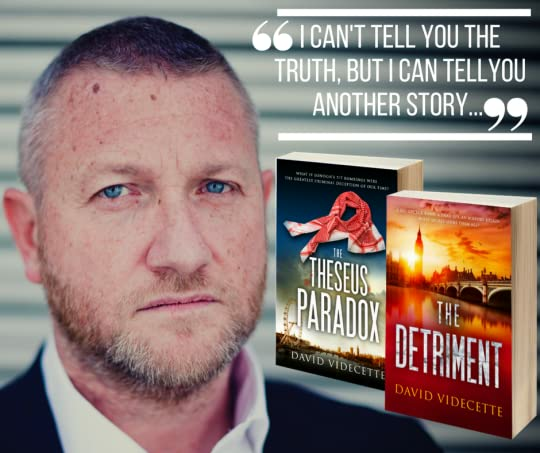 David Videcette as the author blends them in such a way that you would be hard pressed to know where one ends and the other begins, it is totally seamless. I am sure that these events will forever be in readers minds, but this takes the you into the behind the scenes stuff, an inside look at the people who protect us from so many more horrors that don’t ever hit News Headlines. The physical and mental cost to these men and women is huge. I just couldn’t help but take to Jake Flannagan in the first book, one of the good guys that has to, put it bluntly, a bit of a mixed up head due the job he does. Seen too much, done too much and been caught up in red tape too much, not to mention the booze and continual string of woman left behind as debris. The toll on his personal life was tragic to say the least but work for him is addictive. He bestie Lenny on the other hand, has his head screwed on a little better and even has a working relationship with his other half. Together Jake and Lenny are the perfect match, bouncing off each other with one liners and constant digs. I am not even going to try to explain anything about the story which comprises of three main events and their random connection as it is far too complicated and would give far too much away. 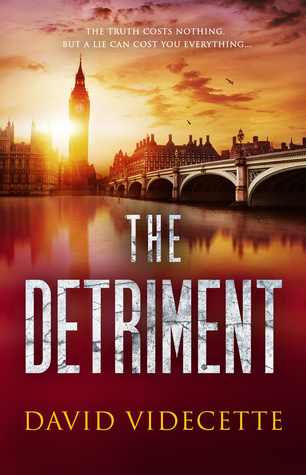 What you get in this book is as darn close to what it is really like to work at this level day in day out told by David Videcette, whom was himself was a former Scotland Yard Investigator with the Metropolitan Police for a number of years that cover both the periods of time that these books are set in. This is as close to the truth that you will get and it will horrify you, mesmerise you and at times break your heart. When you finish the story do please continue to read on about factual accounts surrounding this book, the real life events that were the building bricks for the author. Love these facts that I read with too many sliding right into the story. Another outstanding read and sad to say that with the tragic events that have occurred in real life already there will be more to share, which I guiltily look forward to as a third book. He currently consults on security operations for high-net-worth individuals and is an expert media commentator on crime, terrorism, extremism and the London 7/7 bombings. David also now puts his police knowledge to good use in his crime novels. Thank you for this wonderful review, Susan! Keep up the great reviewing work!